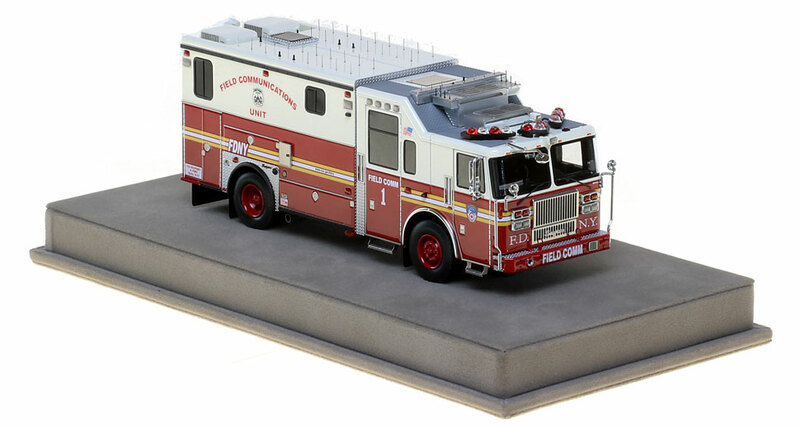 From the extensive array of over 50 antennas on the roof, to the stainless steel carabiner clip on the doors, this 1:50 scale replica is authentic to FDNY's Field Comm 1. Hand-crafted using over 380 intricately detailed parts. 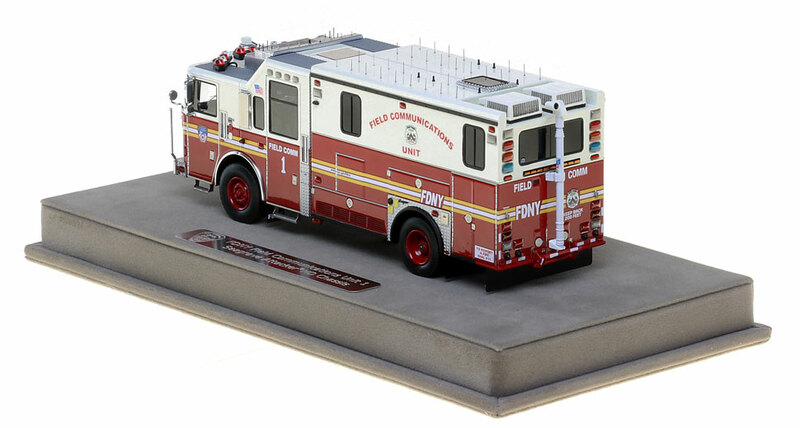 FDNY Field Communications Unit 1 features impeccable detailing and true-to-scale parts that only stainless steel can provide. Only 200 units of Field Comm 1 have been produced. Fire Replicas are designed with the elite collector in mind, and manufactured in limited quantities to enhance value. FDNY pride...protected, preserved and display ready. 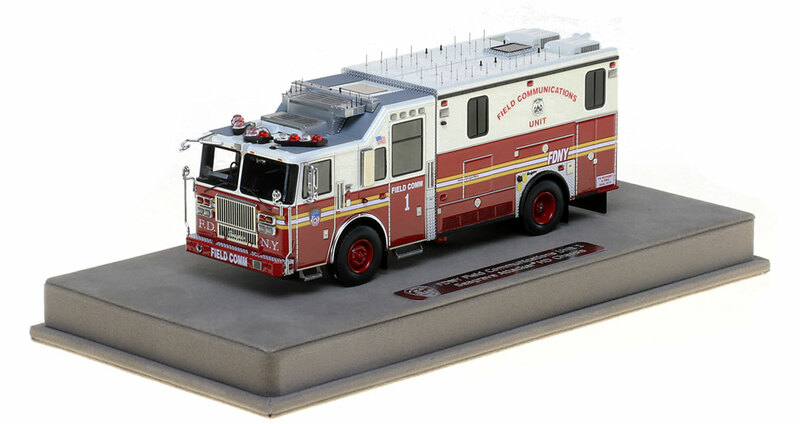 The FDNY Field Comm 1 measures 7.25"L x 2.5"W x 2.75"T and is securely displayed inside a custom case, measuring 10"L x 5"W x 5"T.
This FDNY Field Communications Unit 1 scale model is a museum grade replica of the FDNY Field Comm on a Seagrave Attacker HD chassis. Like all Fire Replicas models, every detail is modeled to perfection and with razor sharp precision. The replica features the specific department configuration and graphics, leaving no detail overlooked. The display case is custom manufactured with high quality acrylic and resin. The stainless steel etched plate features the department and truck name, and department seal. This replica is a treasure to be displayed and admired and is in no way a toy.